The bathroom. Photo by Tatjana Plitt. 5. 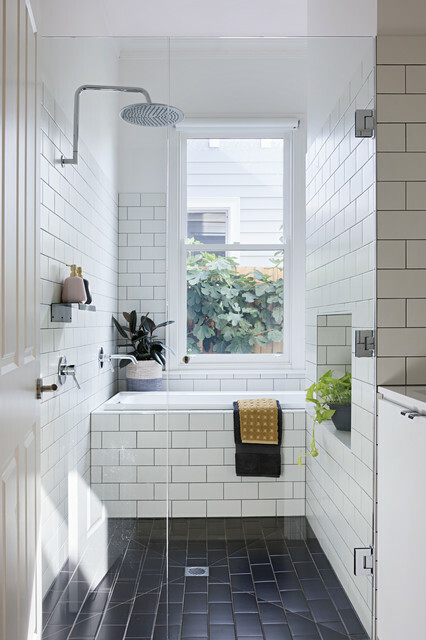 Location: Geelong, VictoriaWhy we love it: Lack of space and a tricky footprint haven’t prevented the owners of this Geelong home from having their dream bathroom – they’ve simply tucked the tub behind an awkward wall. Genius. Bathroom costsSmall bathrooms (less than five square metres in size) cost an average of $9,700 to renovate. Bathrooms larger than this cost renovators an average of $13,200. Bathroom renovation spend varied somewhat by age, with homeowners over 54 spending $11,900, 35- to 54-year-olds spending $12,700, and the under-35s spending an average of $9,100. Sizziling in Success - Luxury realestate interior styling.